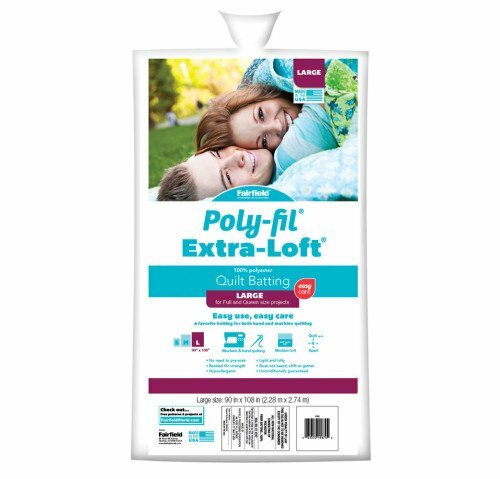 * INTERFACING, STABILIZERS AND BATTING > BATTING > Poly-Fill Extra Loft Quilt Batting 81"x96"
Poly-Fill Extra Loft Quilt Batting 81"x96"
Easy use, easy care, favorite batting for both hand and machine quilting. No need to pre-soak, bonded for strength, Hypoallergenic, light and lofty. Does not beard, shift or gather. Unconditionally guaranteed.